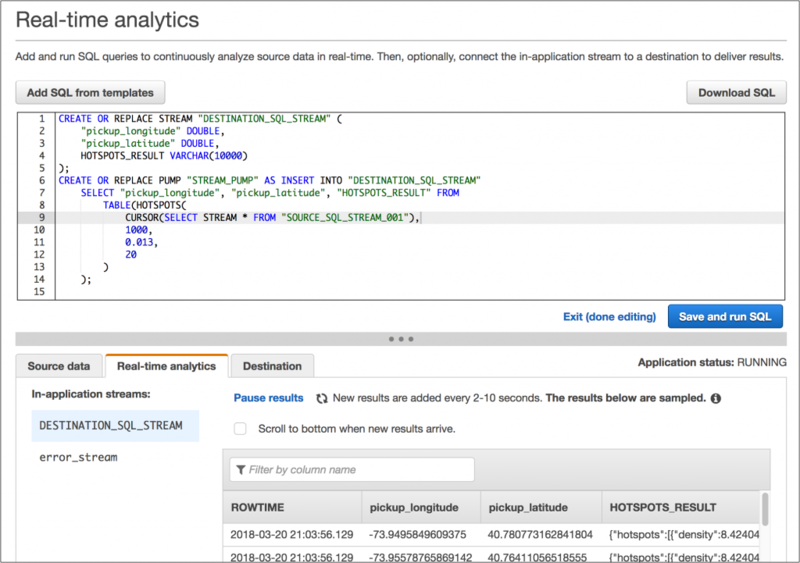 Today we’re releasing a new machine learning feature in Amazon Kinesis Data Analytics for detecting “hotspots” in your streaming data. We launched Kinesis Data Analytics in August of 2016 and we’ve continued to add features since. 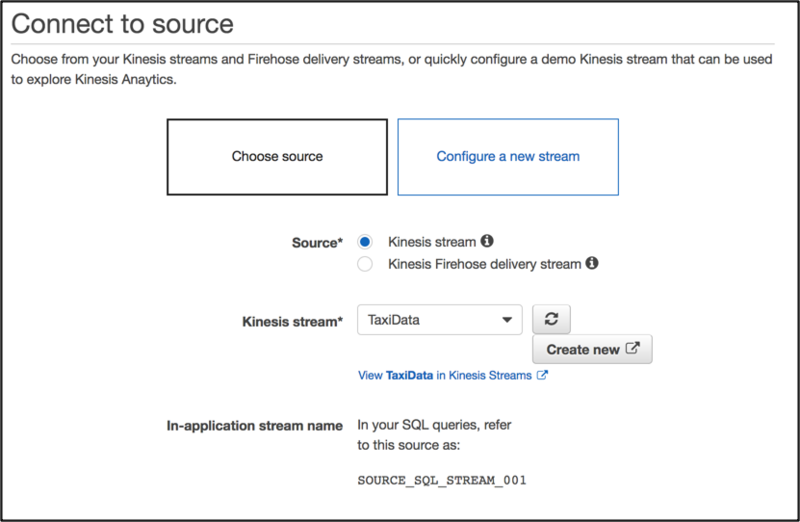 As you may already know, Kinesis Data Analytics is a fully managed real-time processing engine for streaming data that lets you write SQL queries to derive meaning from your data and output the results to Kinesis Data Firehose, Kinesis Data Streams, or even an AWS Lambda function. The new HOTSPOTS function adds to the existing machine learning capabilities in Kinesis that allow customers to leverage unsupervised streaming based machine learning algorithms. Customers don’t need to be experts in data science or machine learning to take advantage of these capabilities. The HOTSPOTS function is a new Kinesis Data Analytics SQL function you can use to identify relatively dense regions in your data without having to explicitly build and train complicated machine learning models. 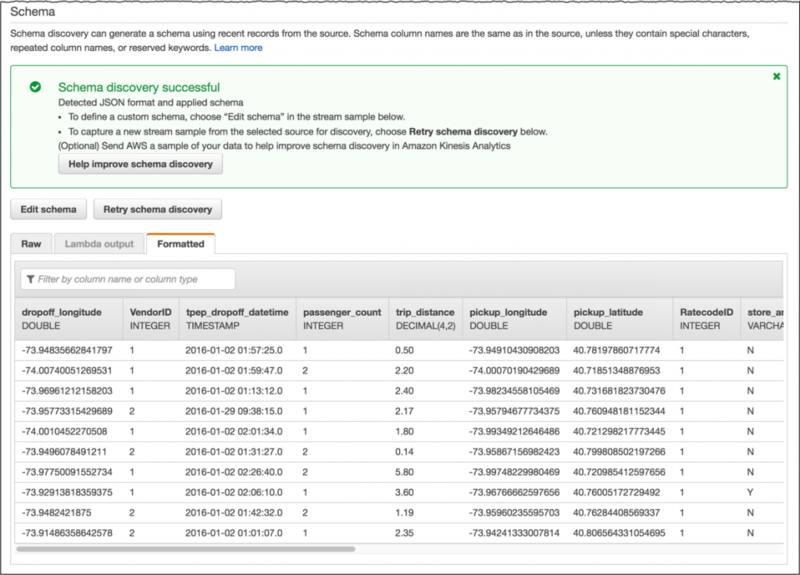 You can identify subsections of your data that need immediate attention and take action programmatically by streaming the hotspots out to a Kinesis Data stream, to a Firehose delivery stream, or by invoking a AWS Lambda function. The HOTSPOTS function takes a cursor as input and returns a JSON string describing the hotspot. This will be easier to understand with an example. 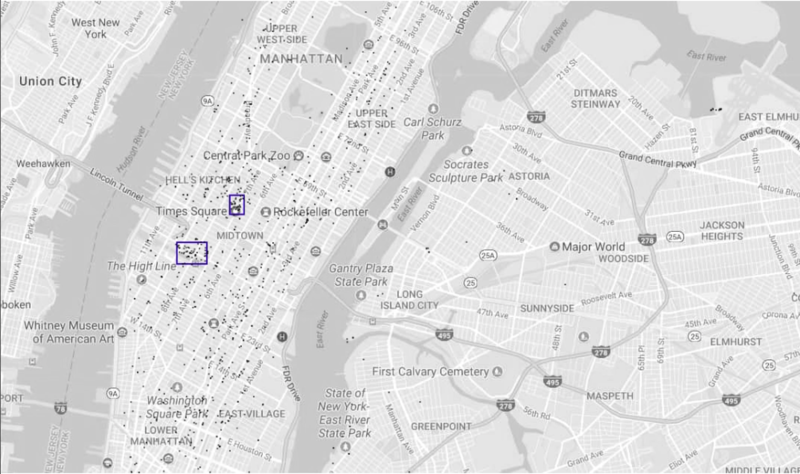 Let’s take a simple data set from NY Taxi and Limousine Commission that tracks yellow cab pickup and drop-off locations. Most of this data is already on S3 and publicly accessible at s3://nyc-tlc/. We will create a small python script to load our Kinesis Data Stream with Taxi records which will feed our Kinesis Data Analytics. Finally, we’ll output all of this to a Kinesis Data Firehose connected to an Amazon Elasticsearch Service cluster for visualization with Kibana. I know from living in New York for 5 years that we’ll probably find a hotspot or two in this data.